 Launched in 2008, the Global Network Initiative (www.globalnetworkinitiative.org) occupies a unique place in the global conversation about freedom of expression and privacy in the Information and Communications Technology Sector. The GNI’s multistakeholder approach works to bring together information and communications technology companies, civil society (including human rights and press freedom groups), academics and investors from around the world to protect and advance freedom of expression and privacy, facilitate shared learning and collaborative problem solving, and promote coordinated advocacy. For a list of our network members, click here.